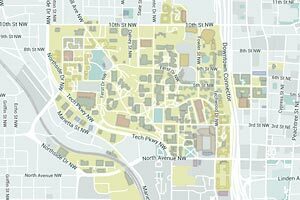 The materials research and education community has access to several key fee-based user facilities within Georgia Tech. Users are trained by staff to operate an instrument. Once qualified, a user then schedules time to use the tool. These facilities also provide some fee-based services whereby facility staff members perform the work. Available to academic, industry, and government users, MCF offers a wide variety of microscopy and characterization tools as well as skilled research staff to support your research needs. As the core facility for materials and device analysis at Georgia Tech, MCF collects several laboratories on campus under one umbrella with a uniform set of fees and policies. Among these facilities is the Microanalysis Suite in the Marcus Nanotechnology Building, which is the most advanced facility of its kind in the Southeast and among the most sophisticated in the nation. The Suite was purposely designed to house highly sensitive micro- and nano-analytical equipment. MCF offers shared-user access to the latest in imaging and analysis technology, which can be accessed by users 24 hours a day. It also provides a full contingent of services for researchers including equipment training, remote sample prep and analysis and process and imaging consultations. Available instruments include SEM, FIB, TEM, XPS, Raman, FTIR, TGA, AFM, STM, and XRD. A professional staff experienced in the design and implementation of materials characterization maintains the instruments. 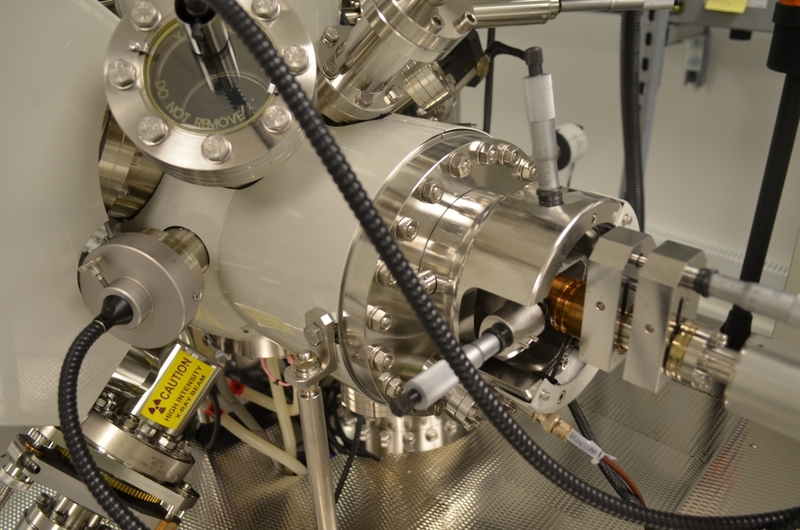 Areas of expertise include Surface Science, Spectroscopy, Thermal Analysis, Scanning Probe Techniques, X-ray Diffraction and more. Users are trained and certified by our staff to use a tool and are then permitted to independently operate it. The user facility also provides a full contingent of services for researchers, including remote sample preparation and analysis, and data analysis consultations. For those in need of more hands-on involvement with and execution of their materials characterization and failure analysis, the MCF includes the Georgia Tech Materials Analysis Center (GT MAC). As a complement to the shared-user facilities in the MCF, GT MAC provides expert analysis in its own state-of-the-art materials testing facility through dedicated researchers with decades of combined experience solving problems for industry, state, and federal customers. 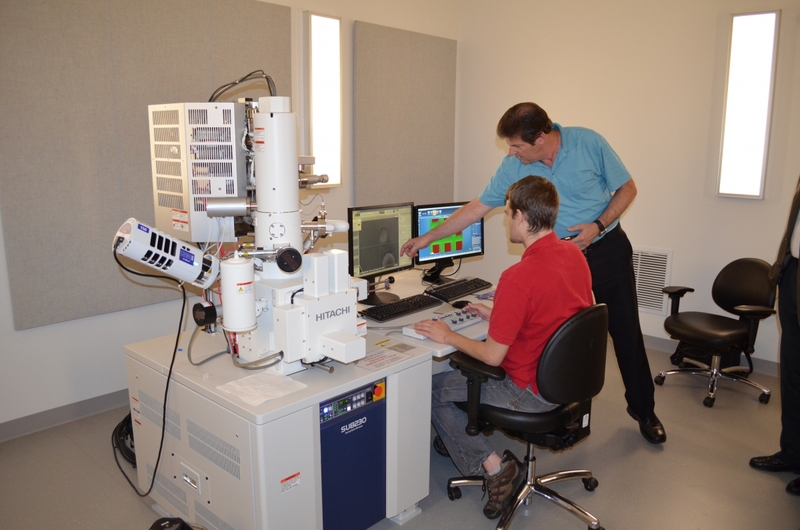 The Mechanical Properties Research Laboratory (MPRL) provides equipment and expertise related to the characterization of the mechanical properties of engineering materials, primarily related to deformation, fatigue and fracture. Institute for Electronics and Nanotechnology Laboratories cleanrooms provide synthesis, fabrication and characterization equipment for a wide variety of electronic and nanoscale materials. A variety of facilities also exist outside of Georgia Tech for materials related research, including those operated by the Department of Energy Basic Energy Sciences, the National Nanotechnology Infrastructure Network, and the National Science Foundation Materials Research Facilities Network.